Document Envelope W/Clip A4 4Pk. 34 x 24.2cm. 4 Assorted Colours: Blue | White | Yellow | Pink. PE Plastic. 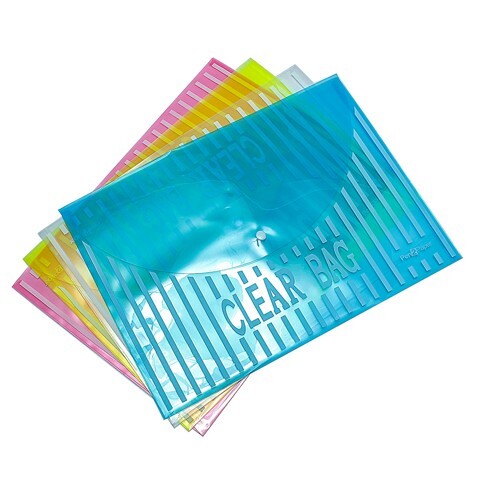 26G Packaging: OPP Bag with Header Card.